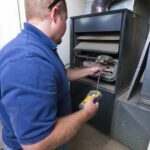 Though HVAC professionals should repair most furnace problems, you can take care of a few furnace repair tasks yourself. Is your furnace not working? If your heater doesn’t heat or works poorly, this guide will help you troubleshoot and fix typical problems. Need furnace help NOW? Get a Local Heating Pro Fast! If your home is heated with a forced-air heating system, a furnace or a heat pump is at the heart of it. Here we look at how to handle furnace problems from a furnace working poorly to a furnace not working at all. For heat pump problems, see Heat Pump Troubleshooting & Repairs. The video that follows shows how a furnace works, as well as some of the DIY repairs you can handle. The voiceover is a bit robotic, but the information is solid. 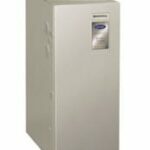 The information in the following articles is for fixing some of the most common types of furnace problems. Note: If these repairs look to be beyond your abilities, call a qualified HVAC repair person. If you suspect a furnace gas leak, deal with this immediately! First, if you smell natural gas in your home or near the furnace, do not light any matches or turn off or on any switches. If the gas odor is strong, immediately evacuate your house, leaving the door open. 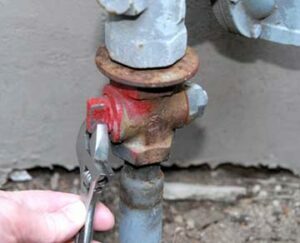 To shut off the gas supply to your home, turn the valve until it rests perpendicular to the supply pipe (here the gas is on). Older gas and combustion-fuel furnaces have pilot lights, whereas some newer ones have electronic ignition. If your older furnace utilizes a pilot light that won’t stay lit, the thermocouple may be loose or faulty, the pilot orifice may be clogged, the pilot’s flame may be set too low, or the safety cutoff valve may be defective. You can clear a clogged orifice with a piece of thin wire. Before doing this, turn off the gas to the furnace. Also shut off the switch or circuit breaker that controls power to the furnace. 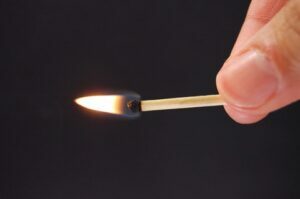 Then, just poke the thin wire into the tiny orifice where the pilot flame normally burns to knock out any debris. Some pilot lights have a flame adjustment screw. Refer to your owner’s manual, but normally adjusting this just means turning the flame adjustment screw to achieve a full, steady 1 1/2-inch to 2-inch flame with no yellow in it. HomeTips Pro Tip: By doing your own minor furnace repairs, you can save money and also get your home heated up much faster than if you had to schedule and wait for a repair person. Your gas- or oil-burning furnace must receive fuel to work. With a gas-fired furnace, be sure the valve on the gas pipe is turned on (the lug or handle should be in line with the gas pipe). With an oil furnace, check the fuel supply. On an electronic-ignition furnace, turn down the thermostat or turn the power switch off and then on again to reset the ignition control module. Listen for the sound of the spark or watch for the hot surface ignitor to glow (see your owner’s manual). 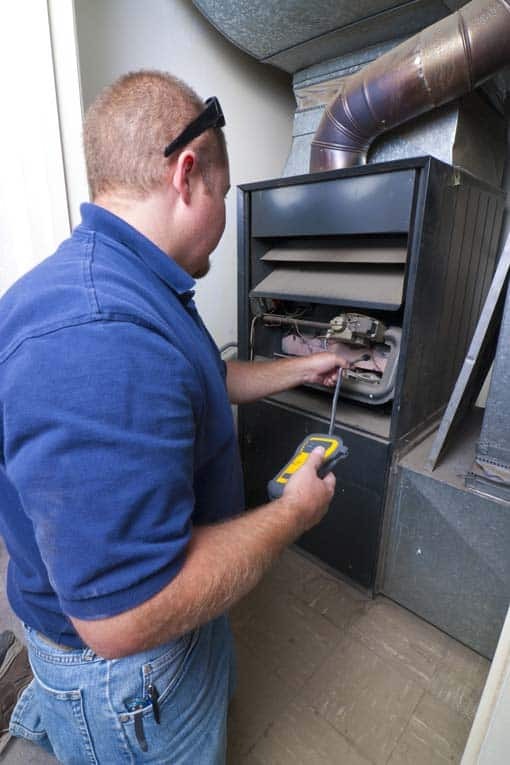 If the furnace won’t light or ignites but fails again, call a furnace repair technician. 1Be sure nothing is blocking the flow of warm air. 2Be sure the thermostat is set properly to “Heat” and the fan is set to “On” or “Auto.” Then try raising the set temperature 5 degrees and waiting a few minutes. 3Be sure the room heating registers are open. 4Check the filter. 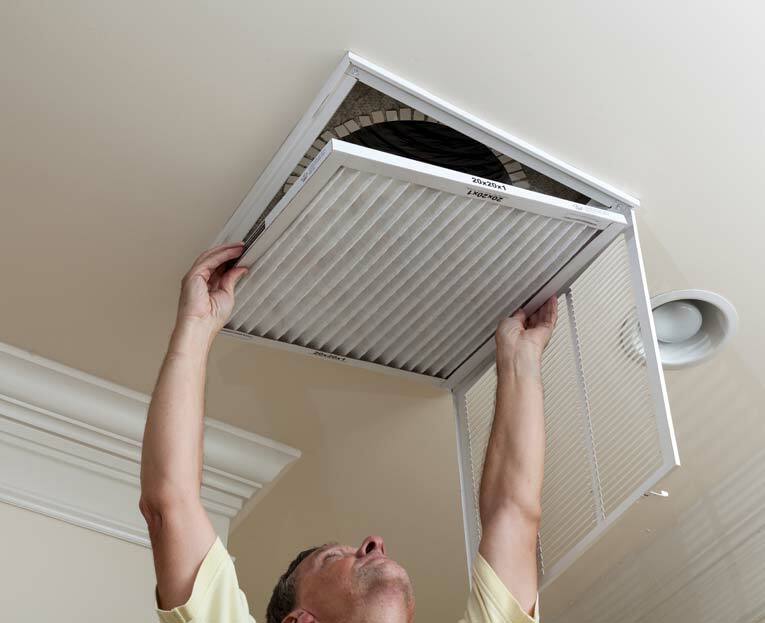 Because a dirty filter can reduce efficiency, replace it with a new air filter if it’s dirty. 5Last, if these simple steps don’t work, have a furnace repair technician check out your system because either the blower isn’t working properly or the system is out of balance. Need help NOW? Get a Local Heating Pro Fast! 1Be sure the heater’s thermostat is set to Heat (if yours is a heating and cooling system). If a circuit has tripped, reset it by turning it off and on. 3Be sure the furnace’s power switch is turned on. Look for the switch next to or inside the furnace cabinet. If it isn’t on, turn it on, and wait for the furnace to engage. 4The motor may need to be reset because of an overload. Look for a Reset button near the blower motor’s housing and, if you find one, press it. If nothing happens, wait about 30 minutes for the motor to cool, and then try the Reset button again. 5Turn off the power to the furnace at the main electrical panel or subpanel. Look for a fuse in the power switch. If one exists, see if it has blown. Replace the fuse (be sure to follow the instructions in your owner’s manual). 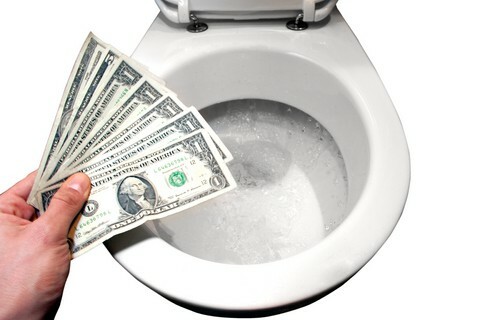 If you don’t have an owner’s manual or are unclear about what it will take to do this, call a furnace repair technician. 6With a gas furnace, the pilot light may have gone out or the gas valve may be shut off. Check the furnace’s ignition. 7If the furnace still doesn’t work, be sure the thermostat isn’t faulty. The problem is often with the thermostat—especially if you have a combustion furnace. For information on how to solve and repair this problem, see Thermostat Repairs. If making these adjustments doesn’t solve the problem, consider replacing your thermostat. 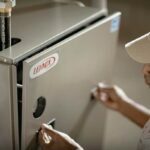 When an electric-resistance furnace or heat pump turns off and on too frequently, the problem may be that the unit is overheating because of a clogged filter or a blower that is malfunctioning. First try cleaning or replacing the filter. 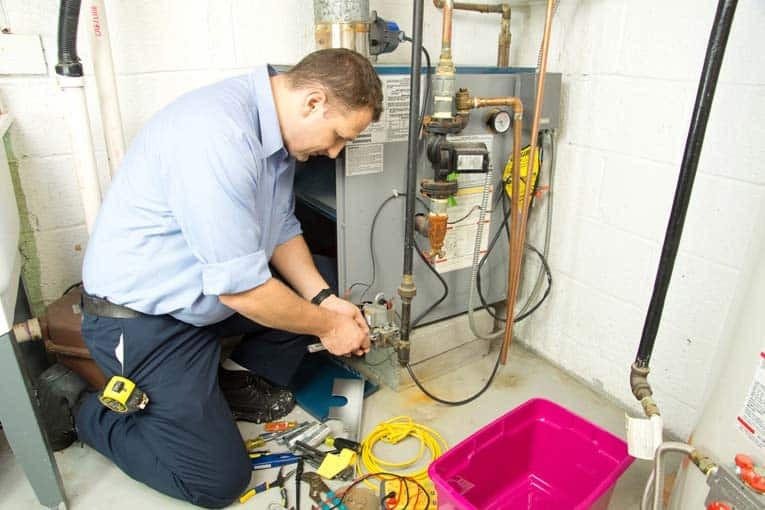 If none of these measures do the trick, call a furnace repair technician. Replacing a blower pulley is an easy fix. Then you can re-tighten the tension once the belt is in place. Check the manufacturer’s specifications for proper tension—in most cases, the belt should deflect about an inch when you press down on it. Finally, some fan motors and fans need oiling; some have sealed bearings. If recommended by your maintenance manual, oil the bearings according to the manufacturer’s directions. Two things can cause a blower to run continuously: the room thermostat or the limit switch located on the furnace just below the plenum (the box that distributes heated air to all the ducts). The limit switch shuts off the furnace if the air in the plenum gets too hot. Check the thermostat to see if the Fan switch has been turned on. If it has, turn it to Off or to Auto. If it is set to Off or Auto, the furnace’s limit switch must be adjusted. Call a furnace repair technician to adjust the limit switch, or follow the instructions in your owner’s manual to reset the pointers on the fan side of the limit control. Typically, the lower pointer should be set to about 90 degrees F., and the upper one should be at about 115 degrees F.
Many heating ducts are metal, so they conduct noise quite readily from the air-handling unit to your rooms. To break the conduction of sound, you can have a heating contractor insert flexible insulation duct work between the furnace or air conditioner and the duct work runs. If the furnace cabinet makes rattling noises when it runs, be sure the cover panels are screwed on tight. Tighten any loose panels. Squealing sounds from a forced-air furnace generally occur when the belt that connects the motor to the fan slips. Tighten the fit by adjusting the motor mount. Or, the belt is improperly aligned or worn and needs replacement. Follow the instructions in your owner’s manual. If the blower is making a grinding noise, shut off the unit and call a furnace repair technician; the motor’s bearings are probably shot. First of all, if the oil burner goes on and off too much, clean or replace the filter. If your oil burner doesn’t work at all, check to see if it is receiving electrical power, if the thermostat is broken or turned off, or if a flame sensor in the burner or heat sensor in the stack has signaled the unit to shut off. In the event that replacing the filter or checking these issues don’t solve the problem, call a furnace repair technician because oil-burning furnaces are complex to repair.